Christian female pastors and priests are very common today. 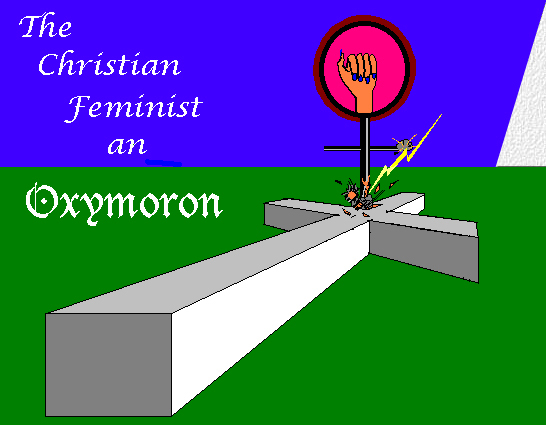 Many feminists call themselves Christians and so you may be taken aback at the title of this web page. If you will open your eyes and your mind, I will show you in the following articles that there is no such thing as an intellectually honest feminist Christian and the driving force behind the movement to ordain female church officials is not religious at all but political. All information that we have on the life and teachings of Jesus Christ are in the Bible. One of the things that Jesus is quoted as saying is that the Old Testament was accurate and inspired down to the very punctuation (jot and tittle). So, either the Bible is a valid book, or Christianity is false. There is no other valid option. Therefore, if feminism is not taught in the Bible, and even further, if feminism is contradicted in the Bible, then there is no intellectually honest way that a woman could call herself, Christian and feminist at the same time. The Bible is the only source for Christian knowledge, and it therefore must be accepted in order to be honestly a Christian believer. Is feminism a biblical doctrine, or compatible with biblical doctrine? Are you ready for the ultimate woman? I wish I had a dollar for every time a feminist has laid this assertion on me. This article explains why feminists find this phrase so appealing! This girl is just the type of person who demonstrates what is meant by the title: "The Chistian Feminism an Oxymoron"
Logical responses prefered, but as you can see below, not required! Are you inclined to respond as one frusterated lady did?